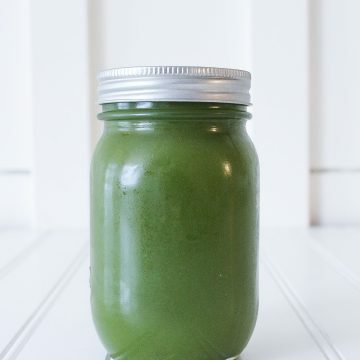 Our signature green juice and nutrient powerhouse. Medley of green vegetables and a touch of fruit to add balance to this popular blend. Very good source of vitamins C, A & B6, B1, B2, E, folic acid, carotenes and minerals including silica (strengthens our connective tissue), potassium and magnesium, copper, and iron.